With seven successful nurseries operating in the UK, we have now opened in Muscat, Oman. Based in Shatti al Qurum, under the supervision of the Ministry of Education, we give your child the opportunity to experience and enjoy the world around them. You can feel at ease knowing your loved one is being cared for by experienced, friendly staff in a safe and engaging environment. We believe in learning through play and aim to teach our children through valuable and unforgettable experiences. In both KG1 and KG2 we ensure core resources are available all day as well as access to the outdoor area. 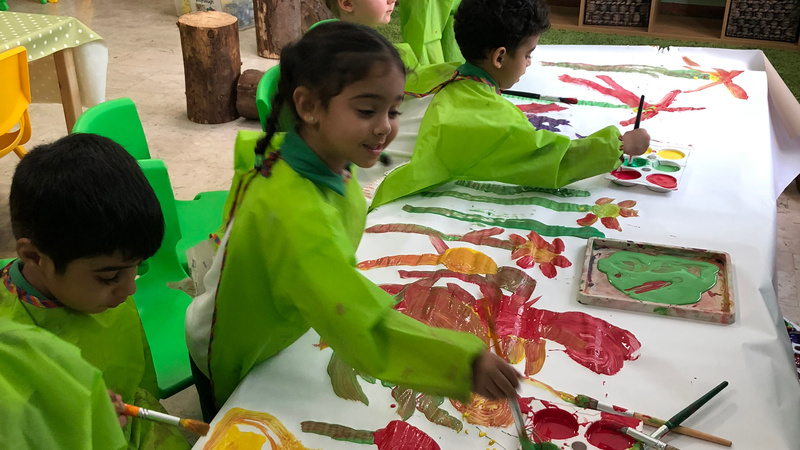 We have a variety of resources available, which are organised so the children are in control of their own learning through play. Lunch - Daily fresh lunches are provided by our outside catering company, with healthy nutrition meals such as – (examples) …tomato and cheese pasta bake, chicken and salad wrap, cheesy beans and toast fingers, followed by yoghurt, fruit and purees.